DUBOIS, Pa. – DuBois Lady Lions improve to 3-0. 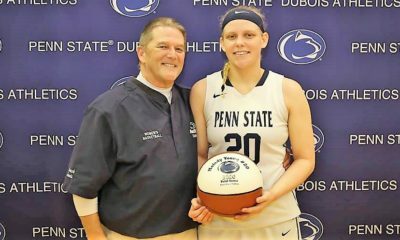 More information on Penn State DuBois Athletics can be found at www.psuduboisathletics.com. 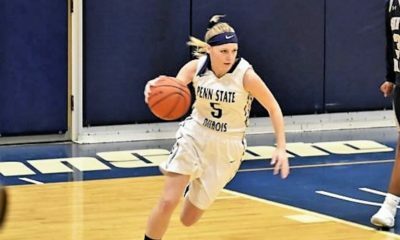 The Penn State DuBois women’s basketball team improved their record to (3-0) with a 74-63 win over Butler County Community College on Monday night. The PSUD squad has now won three games in a row to start off the season. The Lady Lions used a strong defensive effort while they built a 31-19 halftime lead. DuBois had two players reach double figures in the game with senior Kristen Williams (Eisenhower) scoring a team-high 18 points and junior Maddie Sprankle(Johnstown Christian) knocking down 16 points. 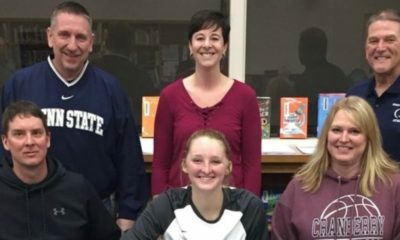 Lauren Young (Bellefonte) hauled in a team-high 10 rebounds and joined Hope Bridge (Punxsutawney) with nine points. Melody Young (Otto-Eldred) and Leah Lindemuth (Brockway) both hit for eight points each. Adding to the win was Morgan Silvis (Forest Area) four points, Gracie Hamilton (Northern Potter) with five rebounds, freshman Makenzie Lukehart (Glendale) with three assists and two steals. The Lady Lions return to action traveling to Buffalo, N.Y. to meet Villa Maria College, Friday, November 16, 2018. 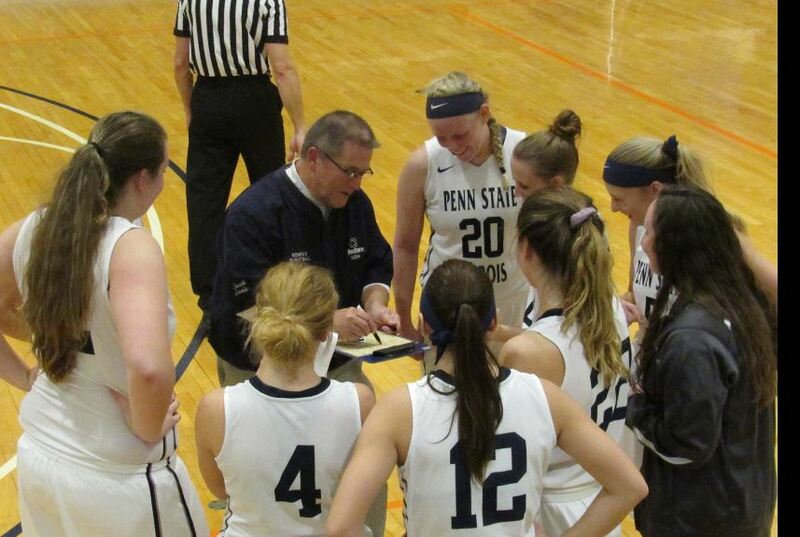 Game time is 7 p.m.
On Saturday, Nov. 10, the Penn State DuBois Women’s Basketball team came ready to play. DuBois started off with a bang and quickly found itself on an 18-4 run to start the game. Allegany’s Jonae Bean tried to keep her team close as she was able to put up a few buckets for her team, but she couldn’t quite compete with the DuBois defense as they were ready for her every move. DuBois not only helped itself with outstanding defense but also shot 63 percent from the field in the first half, as the Lions were able to take the lead into the locker room, 56-25. Lauren Young (Bellefonte, Pa.) led the way for DuBois at the half with 13 points, while Hope Bridges (Punxsutawney, Pa.) chipped in 12. Bean ended up with 16 points at the half to lead her Trojans. The second half started no differently for DuBois as it took control of the game again. Another run opened up the lead, and DuBois attacked to make sure they came out with a victory. The ball distribution for Coach Pat Lewis’s team wore down Allegany’s defense, and DuBois took full advantage. 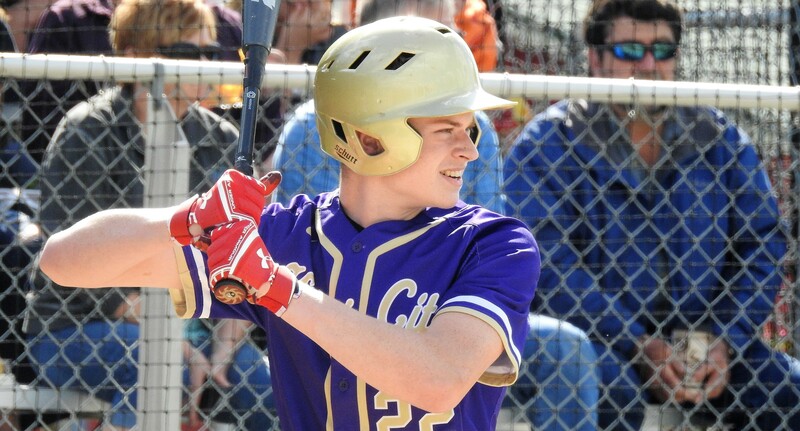 DuBois started to run time off of the clock, but Allegany still couldn’t stop its opponents from taking decisive shots. DuBois went on to win the game by the score of 93-45, and to start the season 2-0. Maddie Sprankle (Johnstown, a.A) had a field day from the 3-point line, going 5 of 10 and ending the game with 18 points and six assists. Lauren Young had her second double-double of the year with a 16-point, 13-rebound performance. Leah Lindemuth (Brockway, Pa.) added seven assists of her own and put up 14 points to help mark the win for the Lady Lions. Both Bridges and Melody Young (Eldred, Pa.) added a double-digit scoring day with 16 and 11 respectively. Bean ended the night with 32 points, shooting 13 for 33 from the field. The DuBois men’s basketball team had quite the offensive night on the court Monday night as they explosively put up 103 points in their first home contest of the season against Butler County Community College. The only problem was that Butler County had an even better offensive night as they were able to put up 110. DuBois’ Zack Dahlstrand (Erie, Pa.) came out on fire scoring eight of his team’s first 12 points. Dahlstrand kept DuBois close with a hot 17 points at the end of the first half. 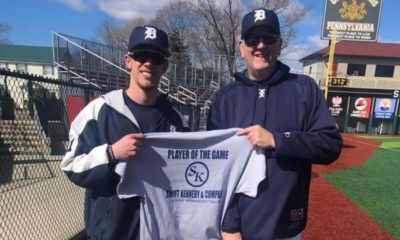 Brandon Bernhardt (Milford, N.J.) added his own 10 points to DuBois total in the first half, but Butler County also had intentions of offensive perfection. BCCC went 9 of 19 shooting from the 3-point line in the first half was fueled by Joel Stutz and his four from beyond the arc. DuBois looked to push coming out of the break and finally took the lead at 74-73. The Lions would not have it long, however, as Butler County continued to stroke it from the 3-point line. Dahlstrand and Bernhardt continued to put points on the board at a steady pace but had trouble keeping up with Butler County’s barrage of made buckets from beyond the arc. Cole Morris (Rimersburg, Pa.) and Malik Gordon (Allentown, Pa.) started to attack the bucket, knowing DuBois team needed a spark. After a made 3-point shot from Mekhi Willis (Landstuhl, Germany) the team and crowd both got hyped, but again Butler County quieted the noise with a 3-ball from Andrew Yonker. Finally, with 22 seconds remaining in the game, Dahlstrand hit a pair of free throws that put DuBois on top, 103-102. Stutz answered right back with a jumper to take the lead back by one with 15 on the clock, but then a costly turnover by DuBois with seven seconds remaining sealed the deal for Butler County. Fouls were all DuBois had left to give after the well-fought game, and Butler County went on to clinch the win, 110-103. Dahlstrand ended the night with 26 points on 11-18 from the field. Bernhardt finished with 28 and pulled down nine rebounds. Morris had a game-high seven assists and knocked down 17 points with a perfect 7-of-7 from the free throw line. The Penn State DuBois women’s volleyball team dropped a pair of matches at the national tournament.